Daily Debate: If You Could Live Anywhere in Breath of the Wild, Where Would it Be? If Breath of the Wild did one thing right, it was the expansive open world just ready to be explored. 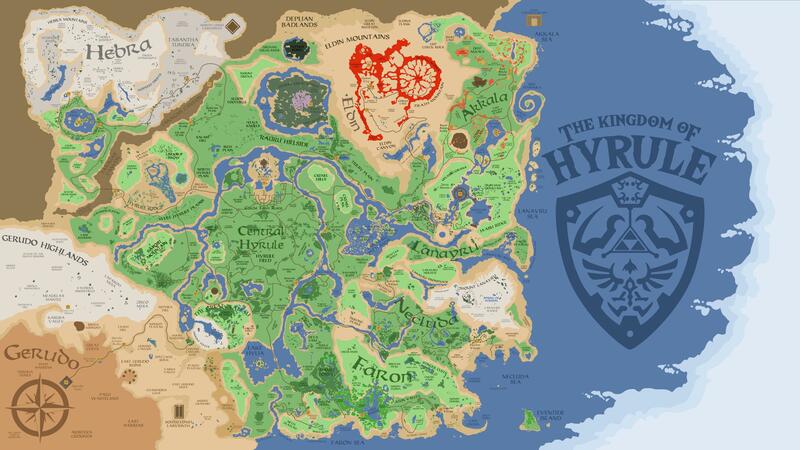 With seemingly countless locations and landmarks to explore, the kingdom of Hyrule was taken to a whole new level. Highlighted by several towns, stables, ruins, and even nooks and crannies never before imagined, we, the players, could spend hours gallivanting around. Many of us have. And still, little nuances are being discovered. So, let’s say that you suddenly found yourself transported into the game. You look around, and what do you hope to see? Is it the vivid greens and autumnal patterns of Akkala in the northeast, set in perfectly moderate temperatures? Perhaps you moved to Zora’s Domain, to spend the rest of your days in crystal blue waters and luminous stone pillars. Maybe, you prefer the thrill of heights, and find yourself among the Rito in their lofted village. Or, you live among the Koroks in their home, sleeping on a bed of moss and leaves beneath the protective gaze of the Great Deku Tree. One thing is for sure, though, wherever you land, head aimlessly in any direction, and there’s something new to be seen. It will never be time wasted. How about it? If you could live anywhere in the Breath of the Wild, where would it be? Let us know in the comments below! Featured image, “The Kingdom of Hyrule,” by HomestuckerQuintinsky.